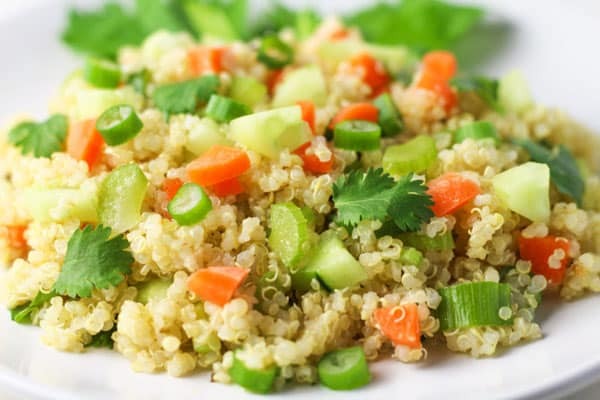 My love for Quinoa just keeps growing! It’s so versatile and you can put it in almost anything. 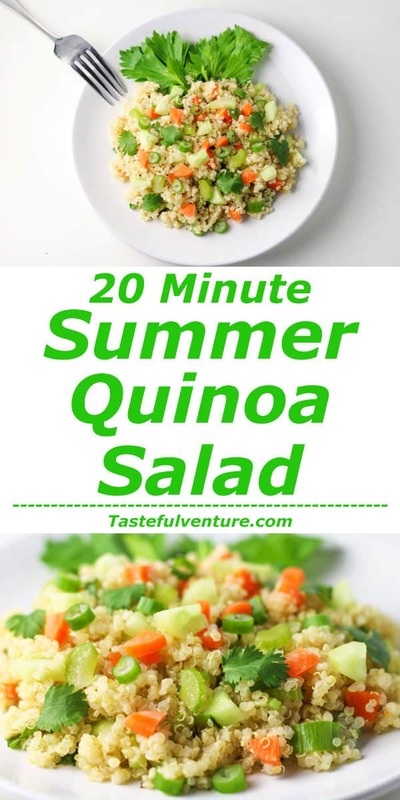 This 20 Minute Quinoa Summer Salad is so easy to make. 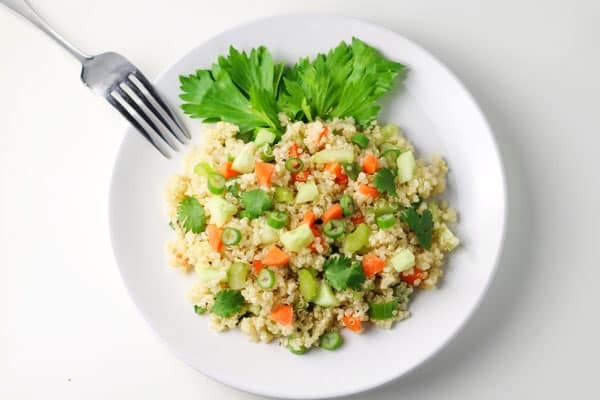 Quinoa generally takes about 20 minutes to make. 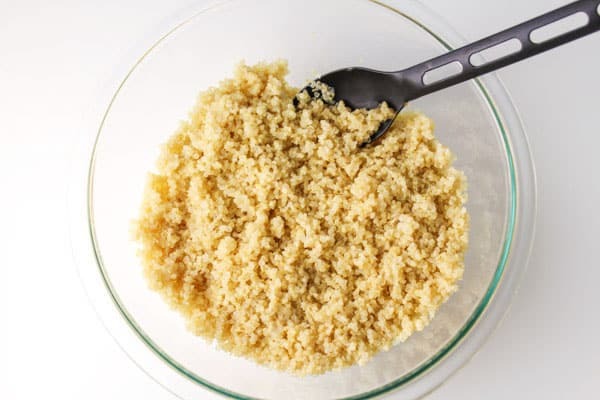 If you can make rice, you can make Quinoa – it’s that easy! Add Quinoa and water to a pot, bring to boil, and then simmer for 20 minutes. 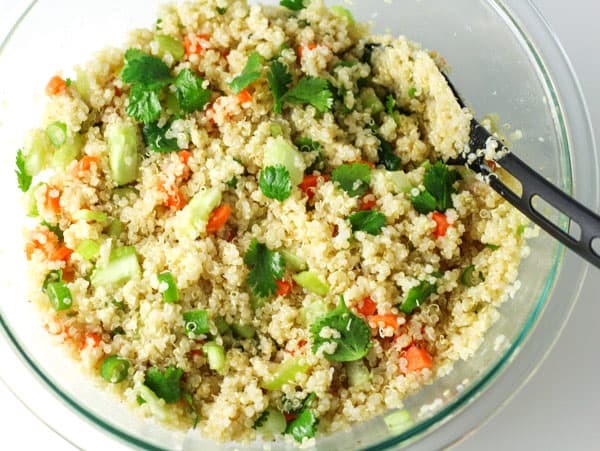 While the Quinoa is cooking you can chop up all your veggies and throw them in a bowl. Add the cooked Quinoa, and done! 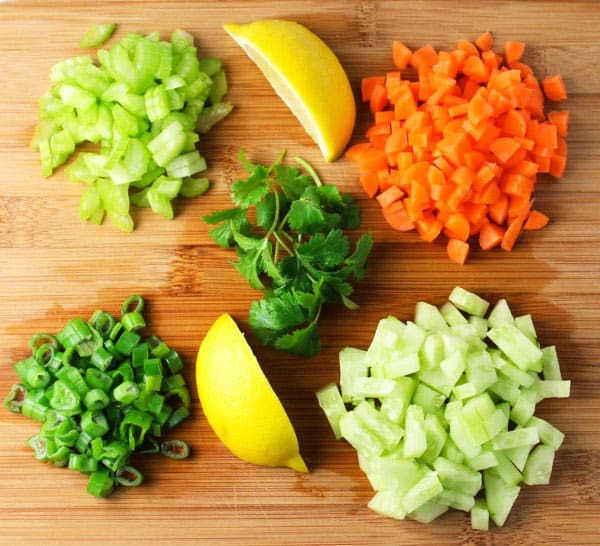 You have an amazing healthy protein packed summer salad! And don’t forget to take a picture and Hashtag it #Tastefulventure on Instagram so I can see! In medium saucepan add quinoa and water and bring to boil. Cover and simmer on med-low heat for 15-20 minutes. While quinoa is cooking prepare veggies. 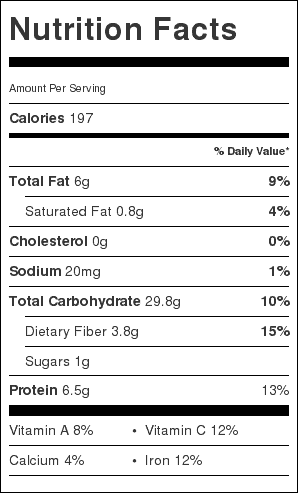 One quinoa is done, add to large bowl, and mix in the rest of the ingredients. You can serve this warm or chilled. Just made this with my girls and it was delicious!!! Thank you!! Hi Alicia, so glad you liked it!